Moving to California? Find out more information about My Baggage – our convenient, affordable and reliable door to door shipping service that could help you save time and money on transporting all of your belongings to California. Moving to California is a concept as American as apple pie. It really goes without saying that California is one of the most beautiful and liveable places in America. With a diverse population, a food scene that’s impossible to beat and a place world-renowned for living out your dreams, it’s easy to see why so many make the move to California every year. Arguably, one of the most daunting aspects of relocating to a new country is figuring out the most convenient and affordable way of transporting all of your personal belongings from point A to point B. Thankfully, there are a number of options out there designed to make your relocation process run as smoothly as possible. It’s important to make yourself aware of the options available. Traditional international removal services typically offer shipping by air or by sea freight. They make for the perfect option if you need to ship large, bulky items such as beds, sofas or even your car. However, it is important to be aware that costs and transit times can vary greatly depending on the scale of your move and the type of service. At My Baggage, we understand that when it comes to your personal belongings, it’s only natural to feel some apprehension about handing everything over to a removals driver. That’s why we strive to provide an international moving service you know you can trust. 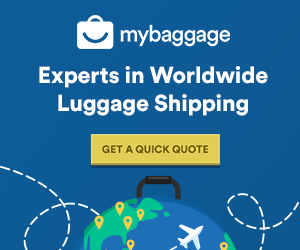 My Baggage provides a convenient and low-cost shipping service to all addresses in California and to over 200 countries worldwide, across over 1,000 routes. We offer a fully door to door service, full online tracking and dedicated, unrivalled customer support. My Baggage offers an affordable alternative, and perhaps even more feasible approach to transporting all of your personal belongings to your new home in California, United States. To give you that extra peace of mind, My Baggage will keep you updated from the moment you place your booking until the moment your shipment is delivered. We provide full online tracking for every single shipment, so you’ll know exactly when to expect it. My Baggage isn’t just affordable – our convenient service offers fantastic value for money. We offer a huge 30kg/66lbb weight allowance per item for as little as £98 per item to California. As well, you also have the option to send as many items as you like with us. Transporting your personal belongings to California with My Baggage is easy. Our online booking system is available 24/7 and can be completed within a few short moments.